In this beginners home-barista workshop, you'll learn how to make proper filter coffee, espresso and some latteart. I'll answer questions you have about different brew methods and go over practical fundamentals of making coffee at home. The hardest thing is to know what to look for and expect from your coffee. I will show you here, which will make things so much easier for you at home. It'll be a small group so it will be practical, interactive and hands on, so that everyone can have a go and I can give you some one-on-one experienced advice. This workshop is also a great gift to a loved one or partner (so they can make you decent coffee on weekends) or do it together! Make sure you're making the most of the money you're spending on quality coffee and equipment by knowing how to brew it well. You'll walk away with some handy tips to impress your family and friends with, but most of all, you can impress yourself! This workshop is designed for new baristas who have either just started a job in coffee/hospitality or for people with zero experience and want an introduction on how become a barista. Many people ask "How do I get into the coffee industry" - well this is your chance to START. 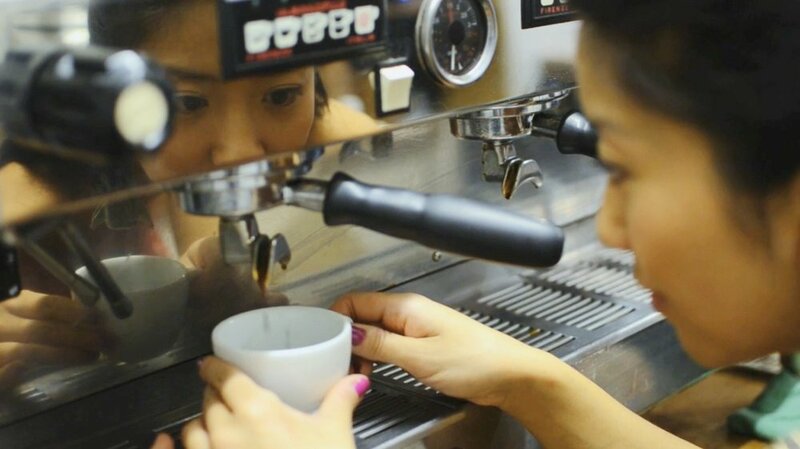 Insight on How to get into the coffee/cafe industry. It'll be a small group so it is intended to be practical and interactive so that everyone can participate and so you can have one-on-one experienced advice and guidance by someone who has been in the specialty coffee industry for over 12 years. You'll also get an exclusively sourced bag of coffee beans to take home with you to practice with and enjoy!